Casio Electronics Co Ltd is obliged under these regulations to offer our customers free take-back of their WEEE on a like-for-like basis when they buy a new Electrical or Electronic product from us. For example, if a customer bought a new watch from us we would accept their old watch and prevent it going into a landfill site by disposing of it safely. Customers must return their WEEE item to us within 28 days of purchasing their new item. To arrange to have your W.E.E.E. 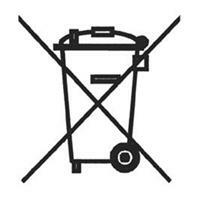 collected free-of-charge please call 020 8452 7253 and quote “W.E.E.E. take-back”. Copyright © 2019 CASIO ELECTRONICS CO. LIMITED. All rights reserved.